Players across Canada and the United Kingdom have a fresh place to visit this weekend thanks to the new Live Dealer Casino launched by Mr Green, one of the leaders in the online gambling industry today. The announcement came earlier this week to much excitement, particularly among Canadian residents because they currently have limited options on where to go for live dealer tables. This new gaming studio is strictly for the High Rollers out there who like betting large stakes when they gamble, as there are no micro stakes games available. The one catch is that they’re sadly not open 24 hours a day, with their $10 minimum blackjack being available from 2pm to 2am GMT, and their $20 minimum tables open from 8pm to 4am. Those who have slightly bigger budgets will be able to enjoy their $25 minimum tables from 6pm to 2am. There’s no word yet if they’re going to extend these hours, but it would stand to reason that they’ll open things up once they’ve confirmed that the new studio is running smoothly. Sharp readers may have noticed the other disappointing feature of their new launch: they currently only offer blackjack. Again, if history is any indication, they’ll be adding any new games shortly. 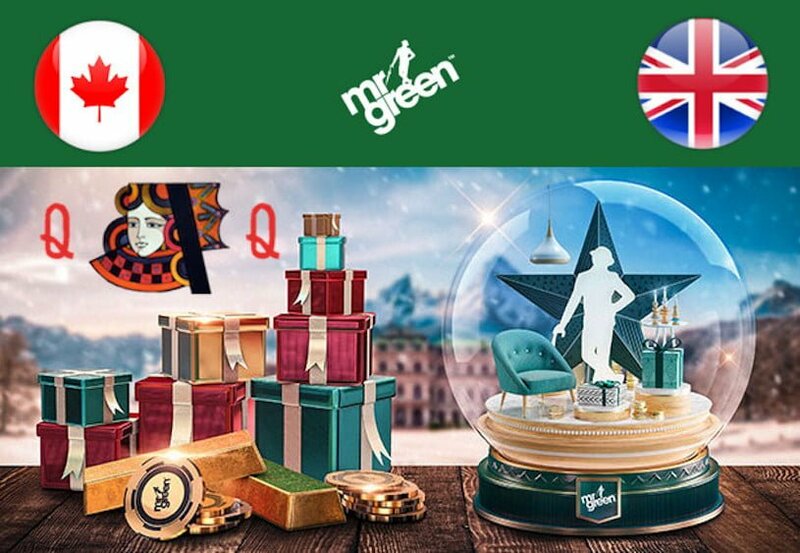 Those in England have known about this website for years but they’ve been pretty quiet in Canada, so feel free to read our review of the Mr Green Casino that will tell you everything you’ll want to know about them. They constantly offer great promotions and this month they’re giving away $5,000 in Live Dealer jackpots. In addition, they’re dishing out instant free spins, double wins, cash rewards, and much more on games like roulette in their regular live casino. All of these awesome promos are on top of their $1,200 Welcome Package for all new players who sign up with them before the end of the year. So if you like free cash and prizes, you’ll definitely want to go sign up at the Mr Green Casino today and get in on the fun and excitement.